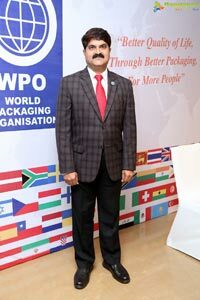 8th, November, 2017, Hyderabad: Mr. Chakravarthi- avps - managing director of the innovative packaging company ecobliss india created history as the first Asian to be appointed as global ambassador of world packaging organization WPO. The honorary appointment took place in rio de geneiro, brazil in the 99th board meeting ofwpo. 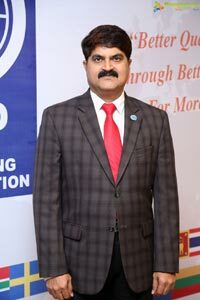 Chakravarthi avps is also the winner of worldstar awards (the highest in packaging excellence) for five years in a row with 100% success -a world record. 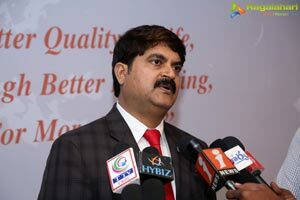 He has been in paper, printing and packaging field for over three decades & also served as chairman of iip, Hyderabad and has been actively associated with packaging activities worldwide having worked in different capacities in companies like international paper, ballarpur industries, akerlaund rausing , Huhtamaki , pragati, ecobliss etc. Chakravarthi is instrumental in developing various pharmaceutical compliance packs for us and regulatory markets! Various magazines, live programs, lectures and chaired sessions on different topics on various national and international platforms. 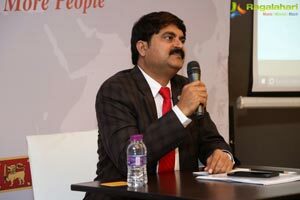 Speaking on the occasion chakravarthi-global ambassador of world packaging organisation -wpo shares "we must learn to make packaging more effective than ever before and work towards educating people everywhere to respect the purpose of packaging as there is no culture on earth that can do without packaging"
He also added “packaging should be considered as an industry segment like any other major segments such as steel, cement and every measure must be taken for the upliftment of the industry thereby contributing to the development of international trade". 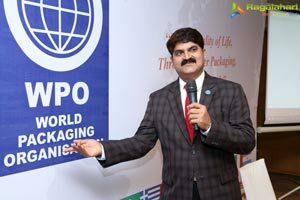 The humble erudite considers his appointment as an honor promising to work in his best capacity as global ambassador of world packaging organization citing the reason of his knowledge & success is impeded from various seniors from the industries & well wishes of thousands of packaging lovers. About the world packaging organization (WPO) is the international apex body in the field of packaging was founded on September 6, 1968 in Tokyo by visionary leaders from the global packaging community for the purpose to educate people about the value that packaging adds to society, not only for food & beverages but for pharmaceuticals and virtually every product used by consumers and industry alike. The vision of wpo is “better quality of life, through better packaging, for more people"
The main objectives of the world packaging organization (wpo) is to work through the national packaging organizations and interested parties to promote global development of packaging technology, science and engineering, stimulate development of packaging skills and expertise ,encourage communication concerning packaging technology, applications and achievements ,provide a forum for organizations interested in upgrading the state of the art of packaging, monitor and communicate with members concerning packaging- related issues such as consumer safety, food preservation, and environmental impact , creation of conditions that will help to optimize , conserve, preserve and distribute food and other packaged products contribute to the development of international trade ,advising on the formation and operation of national packaging organizations and institutes,provide information on sources of packaging knowledge and so on. Professor pierre pienaar took over from hall of fame awardee mr. Thomas schneider, cpp as president of world packaging organization for the period of three years from 2018. He has been national chairman of the south african institute of packaging (ipsa), as well as president of the australian institute of packaging (aip). He has been vice president of wpo till now, responsible for education. 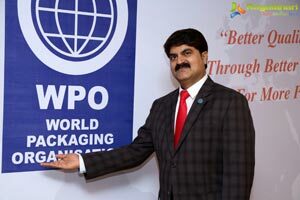 During the 99th board m meet, wpo and unido (united nations industrial development organization) signed a memorandum of understanding for strategic cooperation in the field of packaging capacity building. The purpose, according to the mou, is "to achieve the mutually declared objectives towards the operationalisationof unido's mandate for inclusive sustainable industrial development". The 100th board meeting along with worldstar awards presentation will take placc in australia early next year.